Mr. Fairbourn focuses on a Trial Practice including professional negligence, personal injury, insurance coverage disputes and commercial litigation disputes. From time to time, he acts as a mediator. Mr. Fairbourn served as co-lead trial counsel for the Lead Plaintiff, The Policemen’s Annuity and Benefit Fund of Chicago, and a class of shareholders seeking relief under Section 10(b) of the Securities Exchange Act of 1934 and Rule 10b-5. In Re Apollo Group, Inc., CV-04-2147-PHX-JAT (D. Ariz.) was one of only six such cases to have been taken to trial since the passage of the Private Securities Litigation Reform Act in 1995. 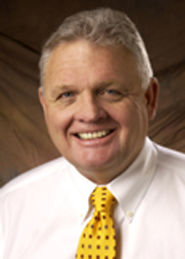 Mr. Fairbourn is a former member of the Board of Directors of the Maricopa County Bar Association Board of Directors. He is a past President of the Arizona Association of Defense Counsel as well as a past President of the Phoenix Chapter of the American Board of Trial Advocates. Mr. Fairbourn is a Fellow of the American College of Trial Lawyers and is a former State Chairman for the Arizona Chapter of the ACTL. Mr. Fairbourn is a founding member of Bonnett, Fairbourn, Friedman & Balint.